Having seen pictures of the Kelpies, it had to go on my to visit list. For those of you who don’t know what they are. 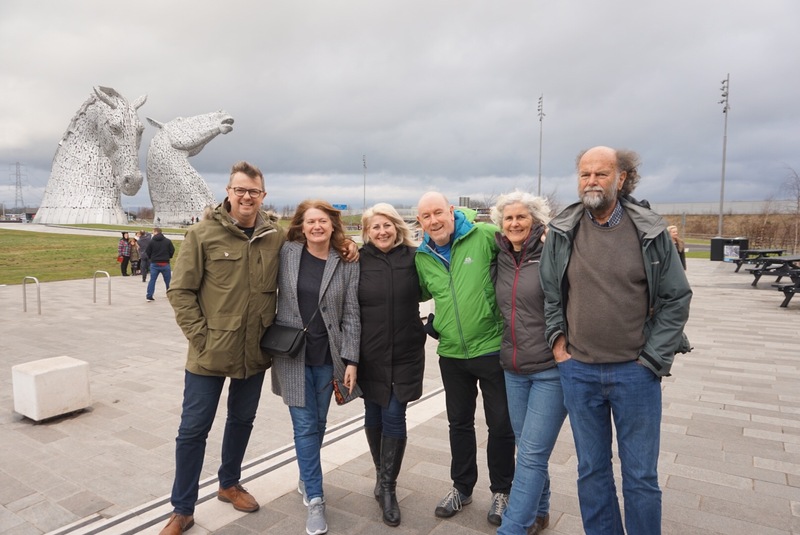 The Kelpies are 30 metre high horse-head sculptures, standing next to a new extension to the Forth and Clyde Canal, and near River Carron, in The Helix, a new parkland project built to connect 16 communities in the Falkirk Council Area, Scotland. 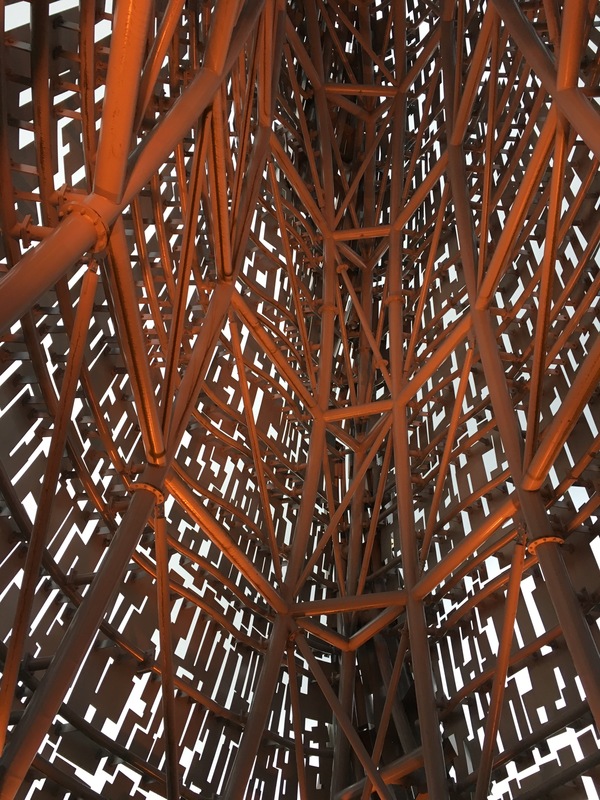 The sculptures were designed by sculptor Andy Scott and were completed in October 2013. 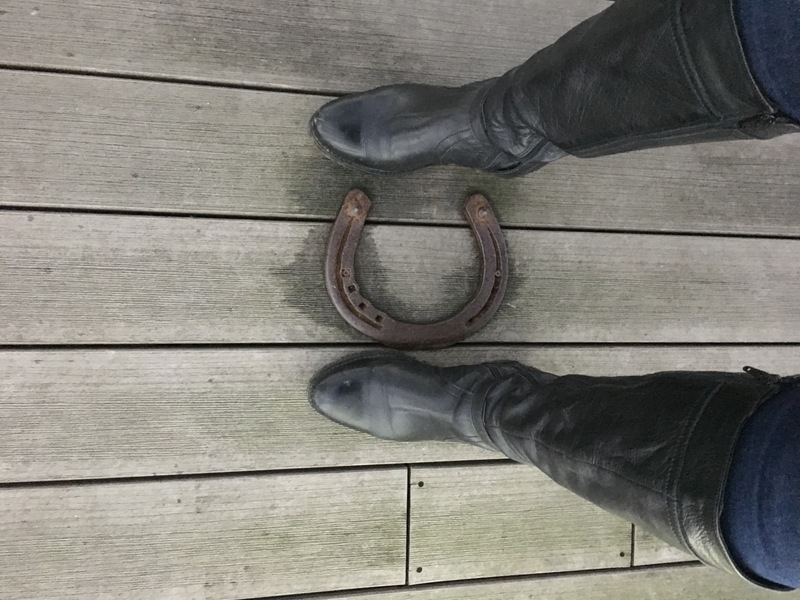 The Kelpies are a monument to horse powered heritage across Scotland. 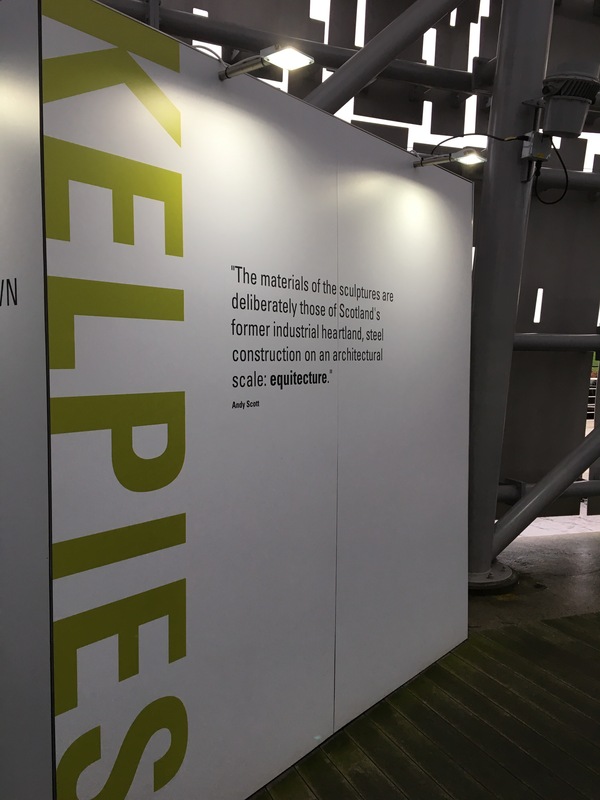 The Kelpies name reflected the mythological transforming beasts possessing the strength and endurance of 10 horses. 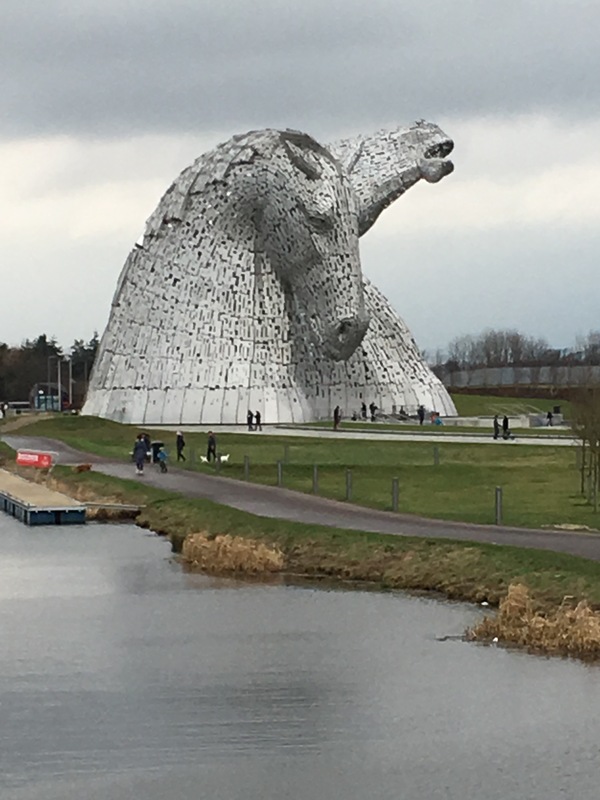 The Kelpies represent the lineage of the heavy horse of Scottish industry and economy, pulling the wagons, ploughs, barges and coalships that shaped the geographical layout of the Falkirk area. 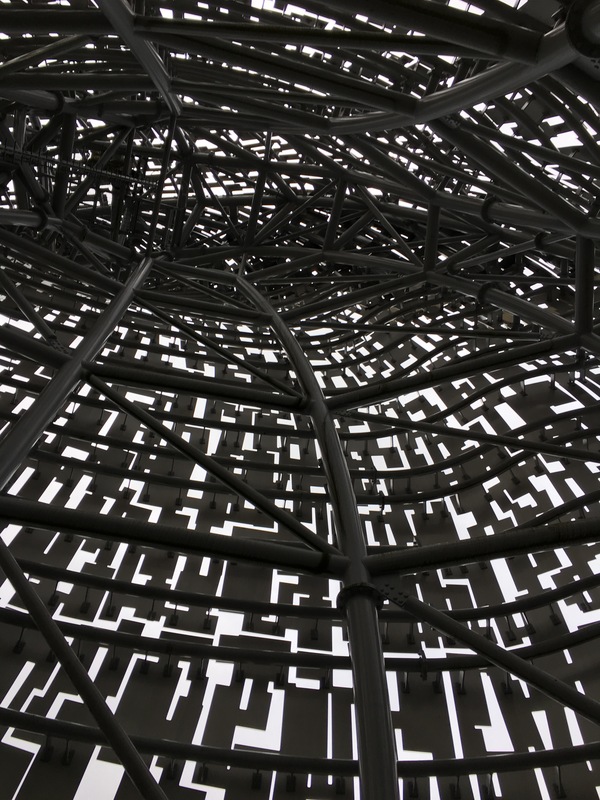 Each kelpie weighs 300 tonnes, are 30 metres high, made from 1200 tonnes of steel-reinforced concrete foundations per head, have 928 unique stainless steel skin-plates and was built on site in 90 days. We decided to stay in Glasgow and get the train through to Falkirk. 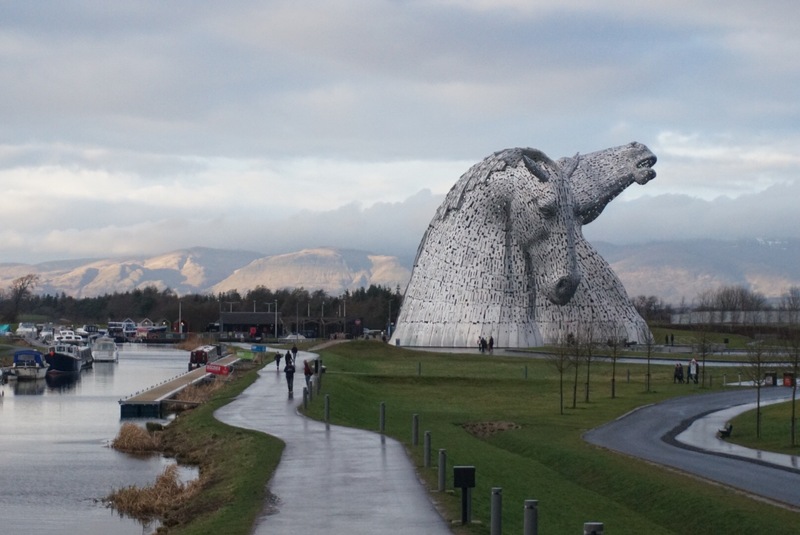 It is quite a walk from the train station to the Helix where the Kelpies are located. It is a majestic sight when the Kelpies come into view. 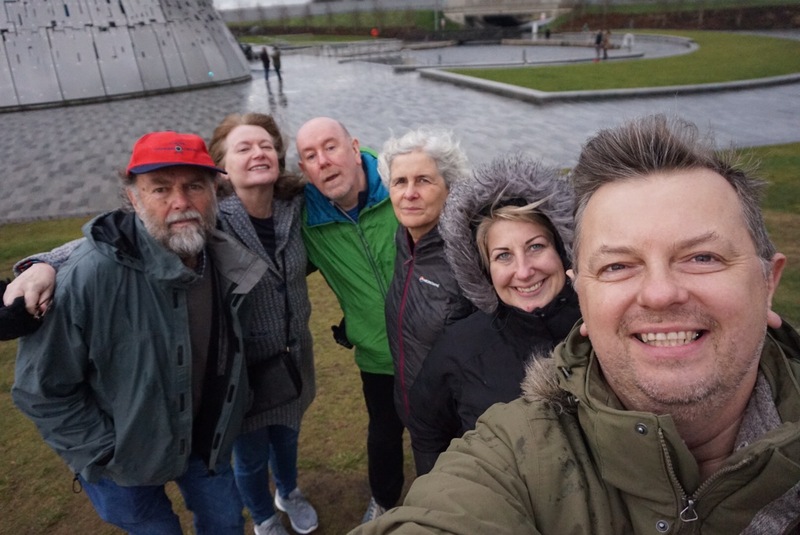 Doing the tour is a must, our guide was lovely and you get to go inside one of the kelpies. As we were there late afternoon, managed to see the changing lights inside. They are truly magnificent and I’m glad I got to see them. The Kelpies are wonderful. My partner and I spent hours walking around them and taking pictures a few years back.